Back in the days, one did not know so many names and varieties of sarees. Sarees were either cotton or silk. Then came Kanjeevaram, Banarasis, Chanderis, maybe Maheshwaris, Tussars. But that was about it. With the advent of online social media and online selling, there is an upsurge of varieties of sarees that one wants to acquire. Sarees are not just cotton anymore. 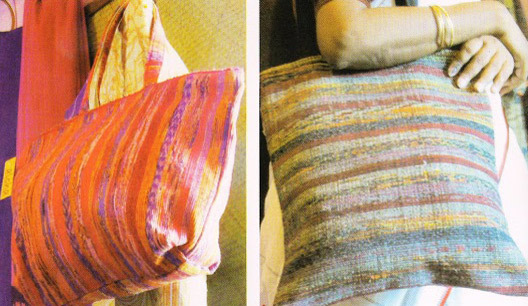 They are jute, linen, Taant, Ajrakhs, Gamcha, Mul Mul, Kerala cotton, etc. You might get fascinated with names but for your knowledge, Phulia is named after a village. So a saree which comes from this village are phulia sarees. They can be taant, cotton or khadi. Similarly, Dhonekali is named after its village. 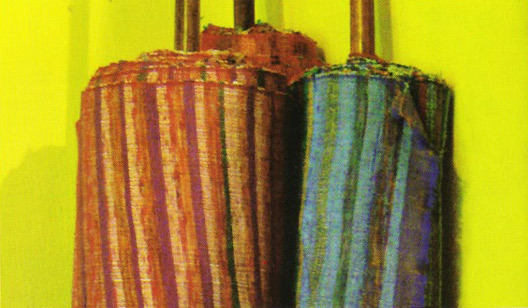 All have different weaving pattern. I am always fascinated by a splash of colours. Show me a myriad of bright colours and you have my attention. So when I came across this Khesh saree through my trusted online seller, I immediately booked it. Needless to say, I loved it. It is light, soft, colourful, cheerful and drapes very well. Trust the vendors who display their prices transparently vs the ones who say "direct message for asking the price". The former are clear in their dealings. They are daring to reveal the prices. The later are putting a little pressure on you to enquire and buy. They are acting more pricey. Maybe they are in for negotiations and bargaining. Maybe they are scared of their competitors. Compare, compare and compare. With online shopping, you have the option of comparing the prices of different vendors or sites. Explore government emporiums. Their prices and products are genuine. Reach the sources. 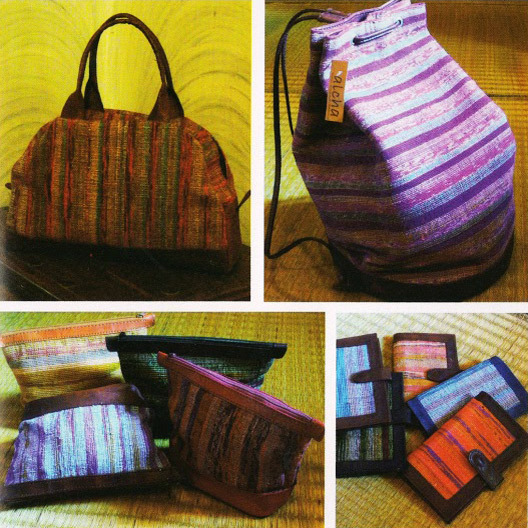 Buy directly from weavers if possible. Have a motto- Weavers not designers. 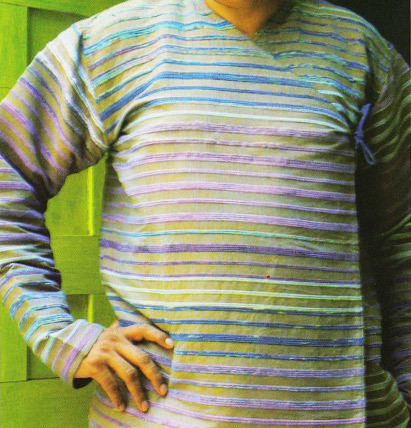 Handloom, not brands. 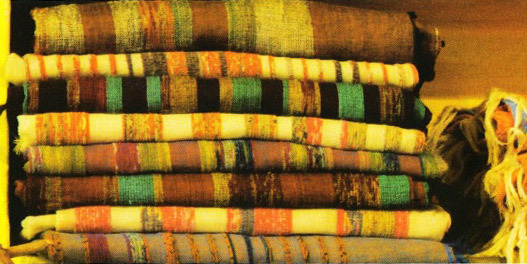 Read below more information about weaving Khesh. 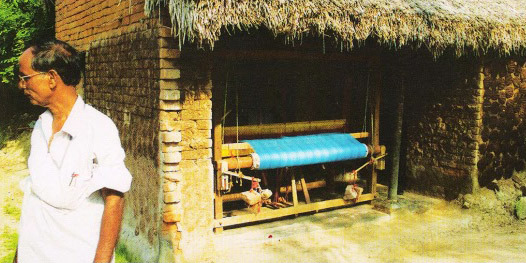 The khesh weaving process is simple. 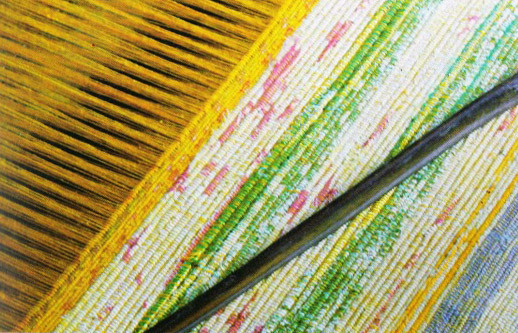 The warp is with new yarn and the weft is with strips of thin cloth obtained by tearing old sarees lengthwise. The old sarees have to be of cotton in order that they tear easily. Experiments using synthetic sarees have also been undertaken since the propensity to wear synthetic sarees is on the rise even in villages. But the problem with synthetic sarees is that they cannot be torn by hand and have to be cut by scissors. This increases the time for this process and therefore the cost. 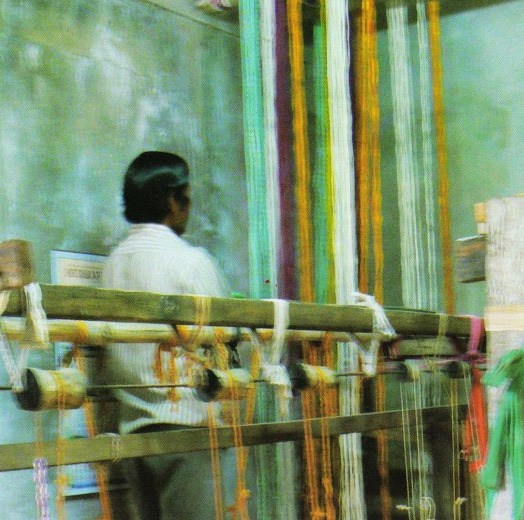 The tearing process which is as labour intensive as weaving is typically done by female members of the weaver’s household. Some shortcuts have been found to make the process less tedious and time-consuming. 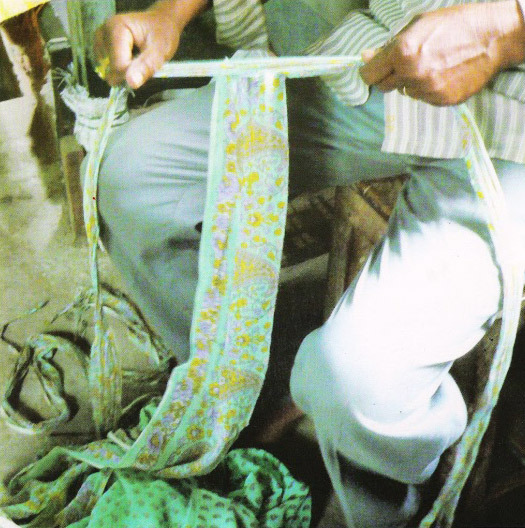 The saree is first torn into five or six parts lengthwise. One end of each part, say about five inches is then torn into strips. The tearer then picks out alternate strips and holds them together in one hand, and the remaining in the other hand. He then pulls in two opposite directions giving him many strips at one go. Typically a saree yields about seventy five to eighty strips. 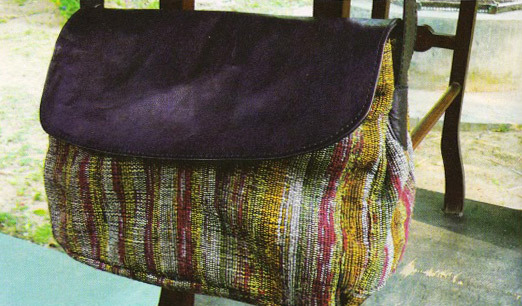 The weaving can, of course, be done either intensely with the old sarees or with gaps in between depending on the effect desired. When it the earlier woven khesh got off the loom, it was felt the pallu had become too heavy compared to the rest of the saree. The experiment was repeated with spacing out the old saree lines in the pallu instead of intense weaving for the full one metre of the pallu. 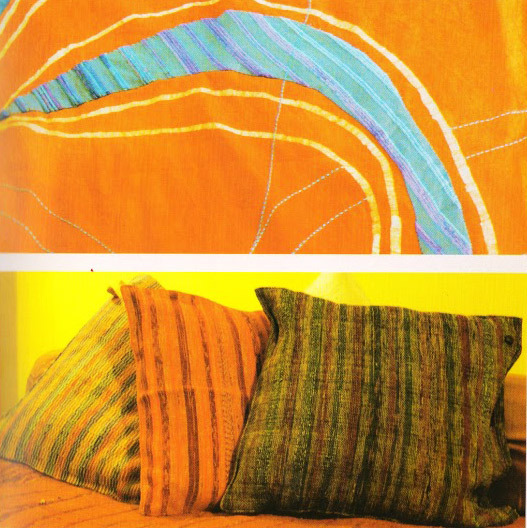 And a few stripes of khesh were also added in the body of the saree and the balance was just so. 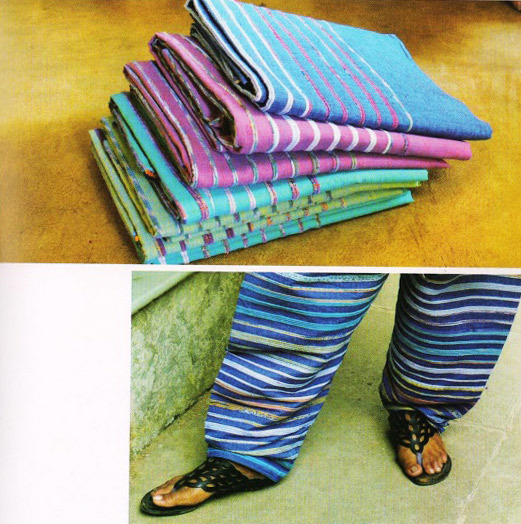 It was then repeated in many colours and the khesh saree became a fashion statement. 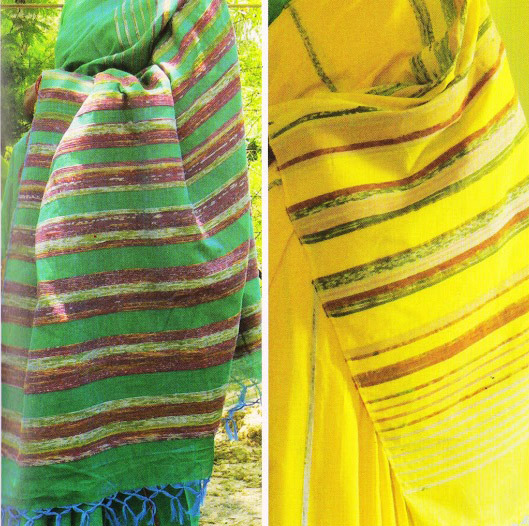 Now many weavers sell the saree to mainstream retail outlets both in Birbhum and outside. 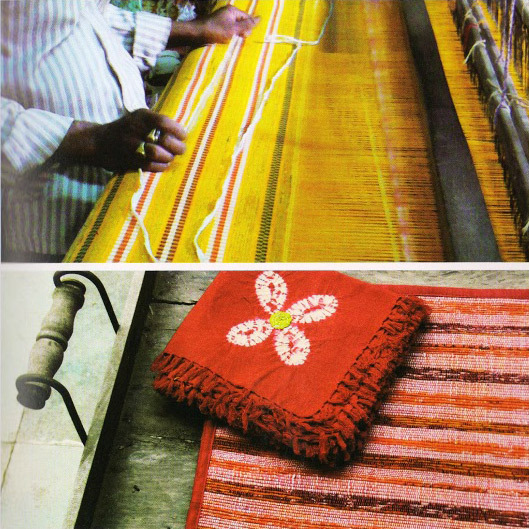 The khesh weaving cluster around Labhpur in Birbhum has truly benefited from this new usage of an old tradition.